We went to Ban Thai last night and the food was excellent. The only downside is the Cypriot customers' need to smoke constantly throughout their meal. There is not really a no smoking area in the restaurant. It got even worse when the cigars came out (which they have a large selection of on the menu). That's one of the reasons I'm coming to Cyprus. I'm fed up with all the PC can't do this,can't say that in the UK. At least when they try to ban smoking in Cyprus many of the pubs and restaurant owners will totally ignore it. Long live the banana republic !" I do agree that there should be non smoking areas and non smoking establishments BUT it should be at the discretion of the owner , not a bunch of do gooders and beaurocrats dictating to everyone ! Then you are moving to the wrong place I'm afraid. Cyprus are part of Europe and within 10 years will be fully compliant so smoking WILL be banned in Cyprus whether people like it or not. They said it would be ignored in Ireland & Scotland but it wasn't. A few big fines and restauranteurs will soon comply. Have you been to Spain recently ? It is also the same in Germany.You go into a bar or restaurant and if they have ashtrays out you can smoke. Can you really see the Cypriots being as compliant as the Brits ? In Cyprus, rules are made to be broken. Double yellow lines on Larnaca sea front ? Cars everywhere and the police just drive past. So who is going to actually enforce the ban ? Could be a job oppotunity for a PC ex pat I suppose.Should be fun. The Brewery on the front is good. Portions huge. TGI Fridays is good (althoough if you have been to one you have been to them all, if you know what I mean). didnt like the taste of the burger meat on both my visits. (hoped it was just a one off ,but no) Had to leave it. PS The Brewery is good , inc their burgers. 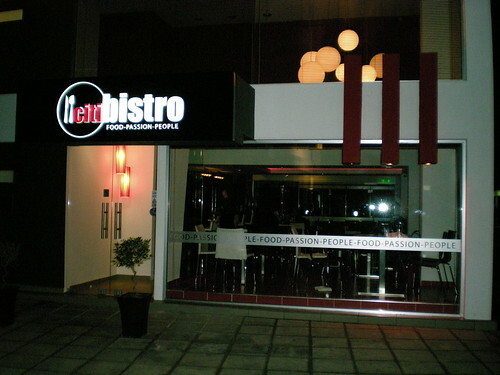 citi bistro in Larnaca centre is also well worth a visit. Wide menu from snacks/salads/pasta dishes to excellent steaks. It's up the alleyway more or less opposite M&S or from the other direction from Mango's towards Flavor take the first left and you'll see it 200 yds down the road. Cuckoos Nest!!! I'm glad to hear it's still there. Is it the same old guy that owns it, the one who looks ike Pinnochios dad, Jipetto??? I think he was called Andreas and his son is an architect called Yianis. I used to dine there regularly as I worked in Cyprus for an Offshore Company but returned to the UK in 2000. We are moving to Larnaca once our house in Kent is sold so hopefully we shall be out there later this year. I too have had mixed thoughts on the cyprus beef burgers taste. Village Tavern in Pyla's Burgers are TO DIE FOR!! All made fresh homemade. Tons of toppings to choose from. I've noticed they have started live entertainment on Fridays and Sundays now. Caught a great duo last Sunday evening called "That Swing Thing" FAB GUYS!! Highly recommend catching them live if you get the chance. This Friday noticed they have karaoke and disco on the blackboard. Sunday Lunch to die for too! Must contact you when we get to Cyprus as I love the 'Swing Thing' style of music. You must let me know where this place in Oroklini is. I play the Jazz organ and would like to meet other 'Like minded' people for a possible Jazz/Swing session......maybe we could get a small swing band together.........?!?!?!?! Hi Phil & Jes, The Village Tavern Pyla is in Pyla.. next village over. It's just before the UN station and the big church and the mosque you can't miss it. The bar/restaurant itself has a retro feel to it. They have old b&w photos of all the old movie stars and musicians. That Swing Thing were brilliant. I reckon they will be booking them in again for another performance this summer. You must go up and meet the staff, I'm sure they'll be able to tell you when that swing thing will be playing again. 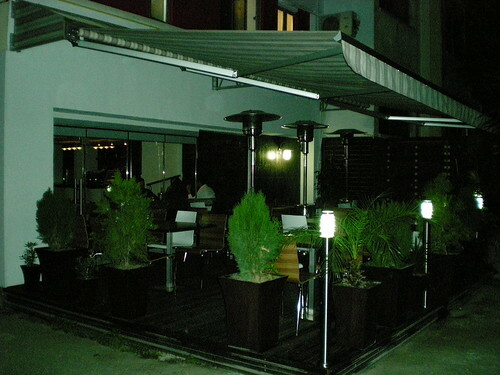 go and try out the kalifatzia restaurant in larnaca. in my honest opinion, you will not be disappointed. from the beach front, go towards st. lazuros church, then take the left hand fork in the road, about 200yds on the left hand side and you will find it on the corner. happy eating and open all year round. I can second that Ronnie ~ it's an excellent place to eat and as cheap as chips too compared to the sea front I often get my takeaways from there as I only live just round the corner. I had read somewhere that Vasos was thinking of selling up. Is this the case? Thanks for the info yhztolca. is on the market but once sold we move to Larnaca. I know the guys who do That Swing Thing, and im sure they would love to get together and have a swing session! Im sure that they are definitely going back to The Pyla Tavern. By the way, we ate there, and the food is gorgeous, we sat inside and its a lovely atmosphere, and feels very cosy and stylish with all the old Rat Pack pictures and Marilyn Monroe etc. A lovely place, I would highly recommend it. Many thanks for your reply and info. We will pay a visit when we get to Cyprus. Must get in touch with you again so as to get the details of exactly where the place is. I'm sure it will be easy enough to find though. Maybe we could invite you round and you can laugh at me playing Jazzy Organ!!! Take care and enjoy the weather. Will do! And I will hold you to that! OK Kathy,..........you're on!! At least we'll have a laugh. For those who were interested. That Swing Thing are performing this Sunday at The Village Tavern Pyla. Also Ross Neil is performing Saturday. That Swing Thing are fab, would highly recommend catching them perform if you ever get the chance.